Zero-to-60 in 2.9 Seconds. Wait! What? Entry level? Yes. Commuter? Sure. Fun? Definitely. 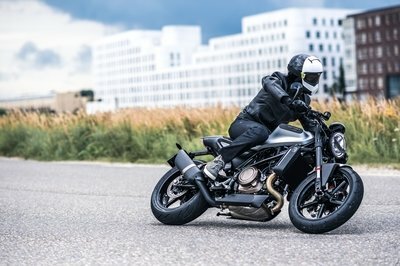 The electric vehicle arms race has expanded into the two-wheel sector with some predictable big-name players clamoring for their share, but KYMCO — better known for scooters and small-displacement internal-combustion-engine (ICE) bikes — enters the fray with its SuperNEX. 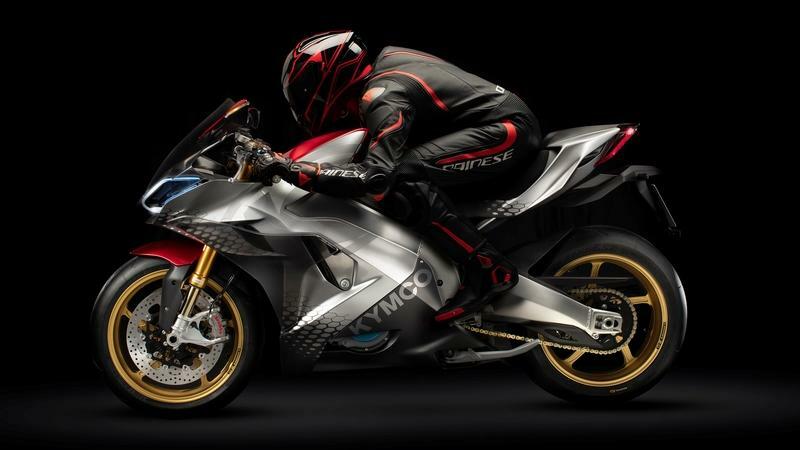 This thing seems aptly named with superbike-like body panels and performance to back up the claims implied by such a name. Safe to say that this is new territory on two fronts for the Taiwanese manufacturer; it’s the first truly full-size bike and the first serious foray into the world of electric bikes. 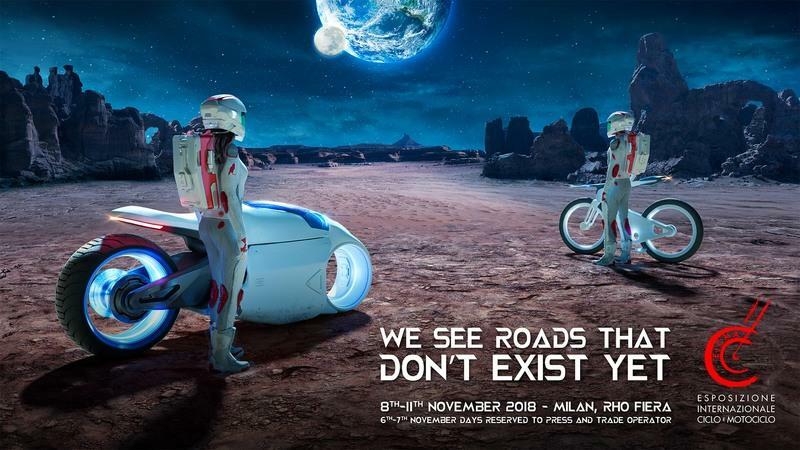 Gotta’ say, this thing wasn’t even on my radar until it popped up at the Milan show, so join me and we’ll discover this stunning ride together. The EICMA bike show is in full swing, and so far, fans of the burgeoning EV sector have a lot to be excited about. Besides its limited range, one of the biggest challenges for the EV bike builders is the lack of diversity, but this year at the Milan show, it’s clear that issue has been addressed. I’ve picked out six interesting models that cover three genres, so let’s get to it. Continue reading for my picks among the electric bikes at 2018 EICMA. Constructed mainly to please the young and new riders looking for some fun and entertainment, Pocket / Monkey bikes piece of machinery. It is quite literally the most accessible motorcycles to ride with advanced suspension, a strong steel frame, alloy wheels with disc brakes, grippy, all-weather tires and racy, naked-bike styling that will have you grinning all day long. This is our list of the top seven pocket bikes on sale in 2018 designed in a class and style of a mini motorcycle. Originally designed to help introduce children as young as 8 to the world of motocross, these mini motorcycles have gained their fair share of adult fans too. Pocket bikes provide high-octane, adrenaline-fueled fun in a smaller, safer package. The Kwang Yang Motor Company (KYMCO) takes on some pretty heavy hitters in the low-displacement scooter market with its Like 150i. It carries itself with an overall modern look that borrows from classic influences with tasteful results. Power comes from a thumper that rocks electronic fuel injection to help the Like meet U.S. emission standards. At a glance, it looks like good basic transportation, but the devil is in the details, so let’s dig in and see how it stacks up against the mainstream. 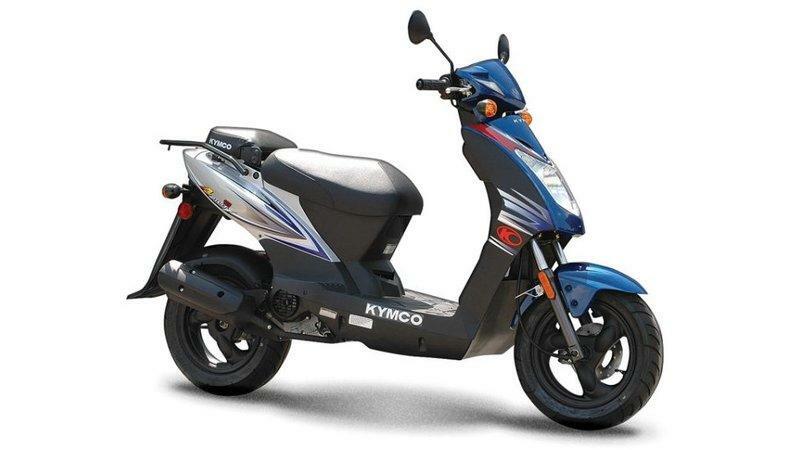 Continue reading for my review of the KYMCO Like 150i. KYMCO takes the next step in its quest for a slice of the maxi-scooter market with the new AK550. This newest addition takes the company into some hotly contested territory with its business-class looks and motorcycle-like engine displacement that is sure to reach a more demanding customer base. 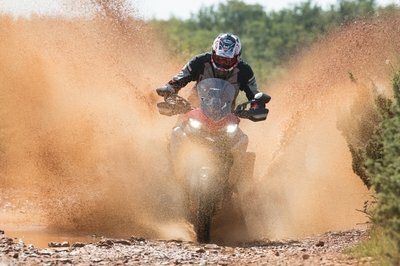 Comfort and weather protection were front-burner topics for the designers, as were safety considerations, evidenced by the riding modes feature and ABS. 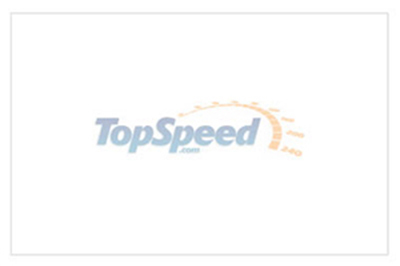 What else does KYMCO’s top-shelf commuter/tourer have in store? Let’s find out. Continue reading for my look at the KYMCO AK550. 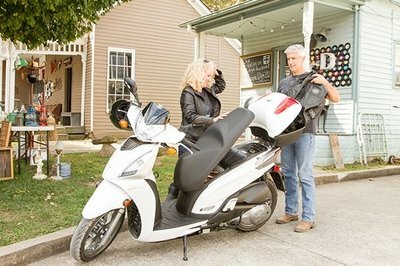 The Kwang Yang Motor Company doggedly pursues its share of the rather limited American scooter market with its new-for-2018 XCiting 400i ABS that replaced the 500 from 2017. Sporty looks and cornering performance are the hallmarks of the XCiting family — possibly from whence the rather uninspired name springs — and the factory continues that legacy with this newest model. A 42-degree lean angle and 35-horsepower mill point to great potential for shenaniganery, or at the very least, a non-boring commute. 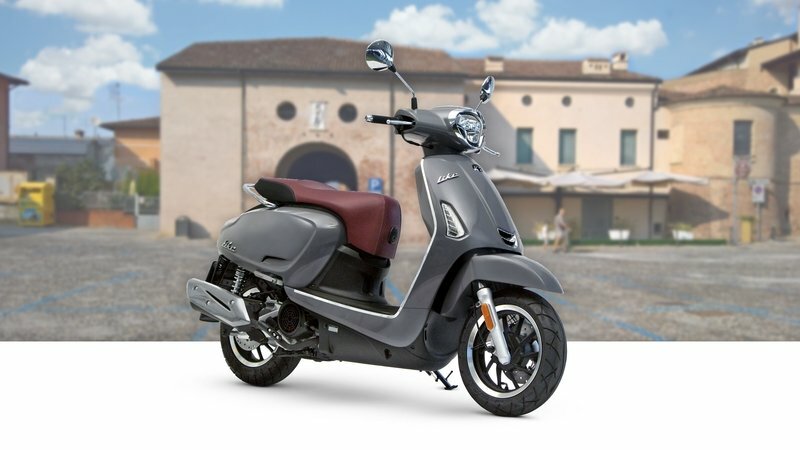 Sleek and slim, the new 400i most definitely departs from the dated “classic” scooter design, and is a thoroughly modern ride. Continue reading for my review of the KYMCO XCiting 400i. Retro designs that hail back to the ’60s and ’70s are all the rage right now, and the Kwang Yang Motor Company out of Taiwan is trying to capitalize on that phenomenon with the Like 200i. KYMCO brings retro design and contemporary performance together on this ride with a 163 cc power plant and disc brakes under a body that rocks an appealing, dated look. 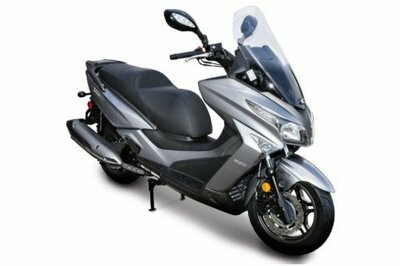 Continue reading for my review of the KYMCO Like 200i. The Kwang Yang Motor Company brings classic, Italian scooter style and modern performance together on the retro-flavored Compagno. This Taiwan-made ride sports a 112 cc mill that cranks out just shy of 10 ponies, and boasts electronic fuel injection with a quad-valve head. 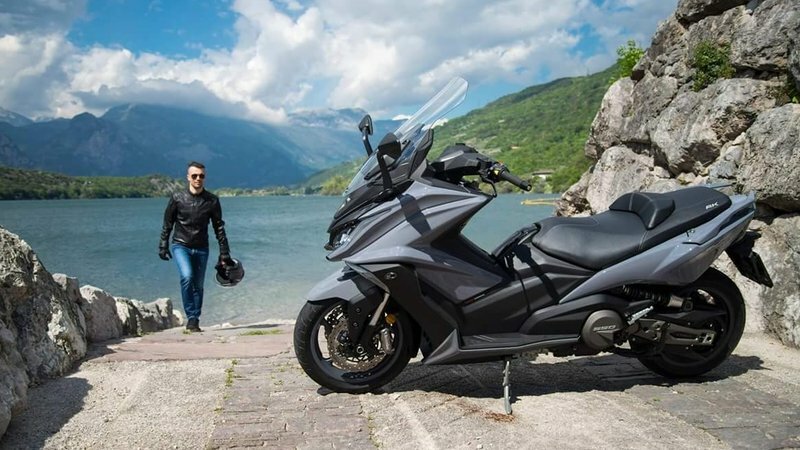 Continue reading for my review of the KYMCO Compagno 110i. Founded in 1963 after splitting from Honda, KYMCO or Kwang Yang Motor Co, Ltd is a Taiwanese company that manufactures motor scooters, motorcycles, and ATVs for worldwide distribution. Known for its scooters majorly, KYMCO showcased a new breed of electric scooter platform at the recently concluded Tokyo International Motor Show. 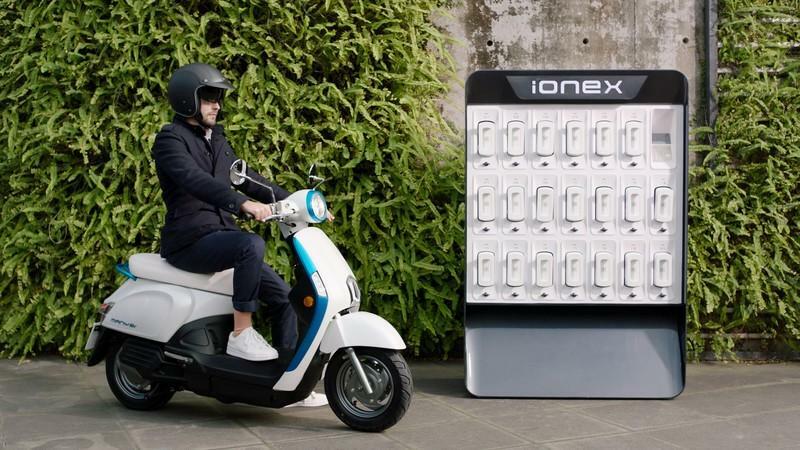 Addressing the current issues faced by all electric two-wheelers, KYMCO has launched the Ionex Many EV that goes with their idea of modern support systems that include upgrading the infrastructure and battery management solutions. 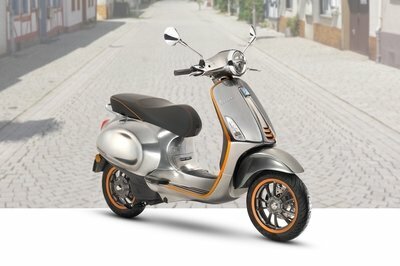 This eco-system will sustain the possibilities of having swappable battery management solutions that enhance the range and practicality of owning an electric scooter. The mini-streetbike market heats up with new competition to go head-to-head with the long-standing K-Pipe 125 from Kwang Yang Motor Co, Ltd — better known to us as the Taiwanese manufacturer, KYMCO — introduced not long ago to the U.S. market. Intended to be lightweight and fuel-efficient, the K-Pipe gives the pocket bike class — long dominated by Honda with the Grom and now with the Z125 PRO from Kawasaki — a viable, less expensive option. Entry level? Yes. Commuter? Sure. Fun? Definitely. Continue reading for my review of the KYMCO K-Pipe 125. 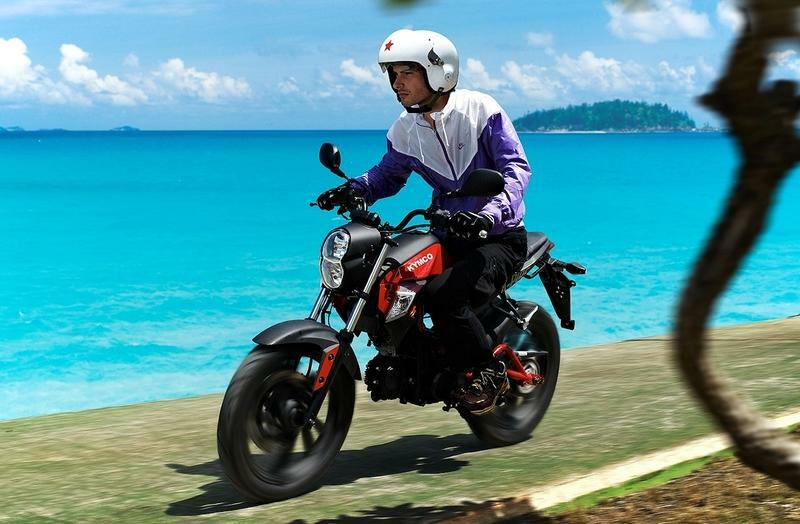 The Kwang Yang Motor Company Ltd., in its quest to grab a slice of the relatively small U.S. scooter market, shook up its mid-maxi range for the 2018 model year with the addition of the all-new X-Town 300i ABS. 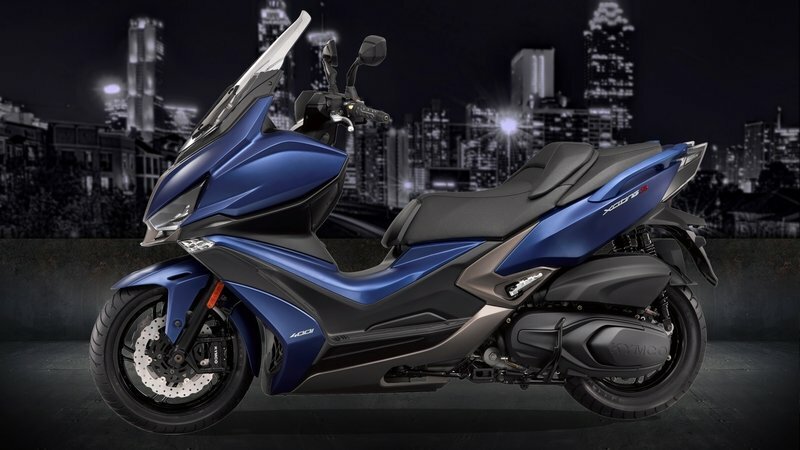 It also dropped the Downtown and People from the 300i lineup, so the X-Town serves as KYMCO’s second-largest scooter in the U.S. market, second only to its Xciting 400i maxi-scoot. Built as an urban commuter, the X-Town sports a generous windshield and wide front fairing with enough underseat storage for a full-face bucket plus some bits and bobs, so you could definitely use it as a grocery-getter, or campus-commuter. The factory claims a total of 23.2 horsepower, so it has the chops to get out of its own way even at highway/interstate speeds. Is that enough to overcome our national apathy toward the genre? It’s hard to say for sure just yet, but we’re certainly free to speculate based on what we see so far, yeah? Continue reading for my review of the KYMCO X-Town 300i. 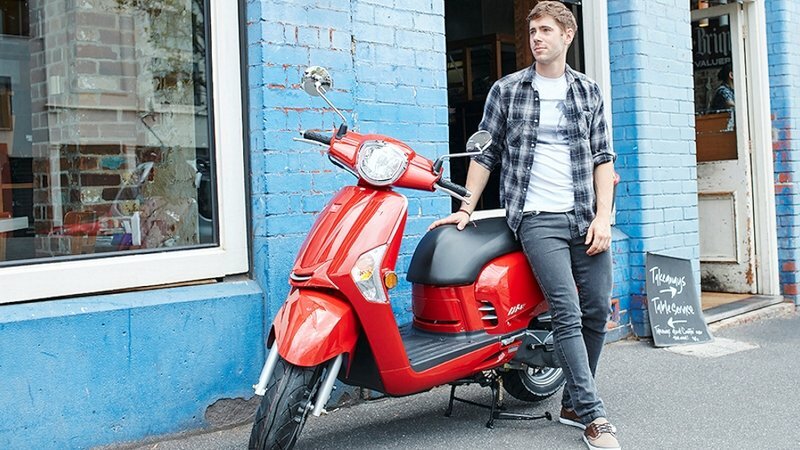 The Kwang Yang Motor Company first brought its “Agility” scooter lineup to the domestic market back in 2007, and here it is a decade later and still going strong. It comes with a choice between a 49 cc and a 125 cc powerplant, but both models share the same sporty looks and Spartan appointments. Meant to serve as an entry-level ride, the Agility siblings keep things simple, clean and with nothing of the superfluous to clutter up the looks or drive up the price. I wanted to see what KYMCO is doing to try and keep these rides relevant. 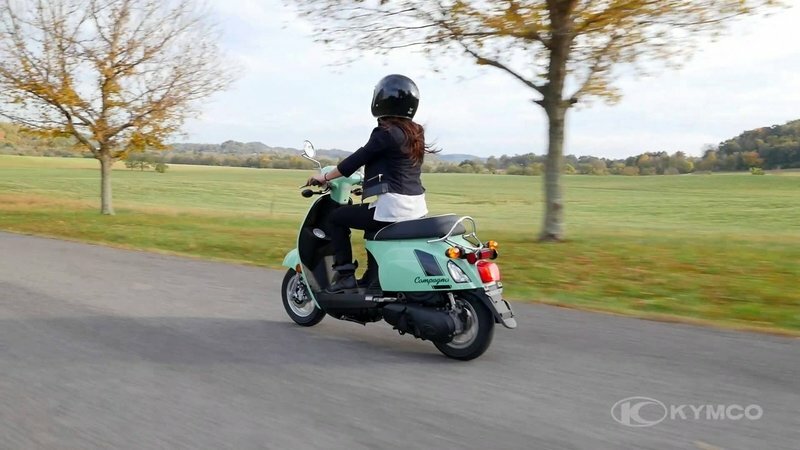 Continue reading for my review of the KYMCO Agility. Get greeted by your favourite photo every time you decide to ride. 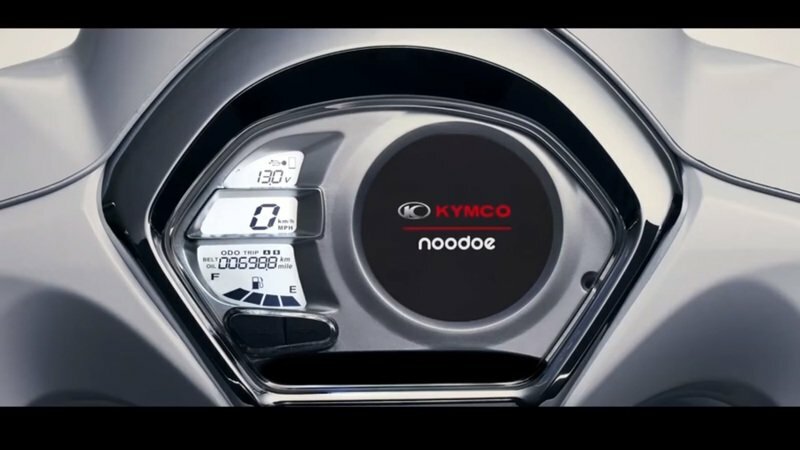 In the future, if the Taiwanese motorcycle manufacturer, Kymco, has its way, we might not have to wait until we complete our ride to check on important Facebook and WhatsApp messages. All those notifications will be relayed straight to us onto the scooter’s dashboards via a customisable TFT screen that will also display a picture of our loved ones if we wish it to. It also does a whole bunch of other things. KYMCO’s People GT 300i brings modern scootering capabilities to the market with EFI fuel delivery and 16-inch hoops all around. The mid-size engine churns out just under 30 horsepower and turns in a top speed somewhere around 85 mph depending on conditions, cargo and such. That’s plenty to qualify it to tackle what one might call “regular traffic” with confidence, and the 16-inch hoops help it handle like a larger machine. 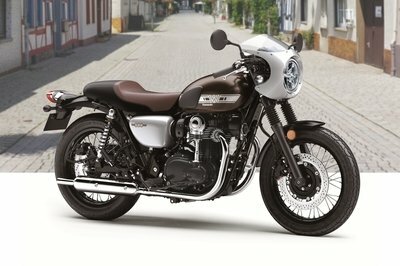 The factory calls it a GT, but I want to see if "GT" means Grand Touring or Gettn’-around Town. Continue reading for my review of the KYMCO People GT 300i.